Yeah it seems the Angry Bird craze isn’t going anywhere anytime soon. See all those numbers up there ^. Those are not misprints. 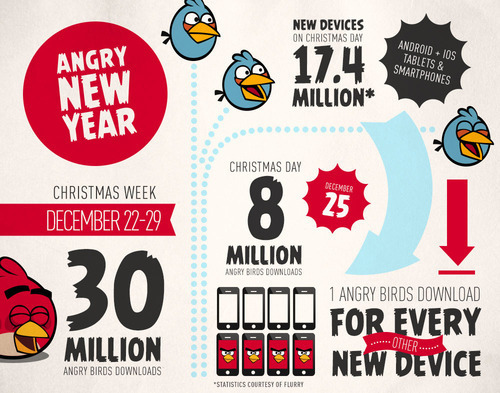 During the week of Dec. 22-29 there were a total of 30 million Angry Bird downloads. These numbers are from all the games and across all mobile platforms. Buy a Used Wii U Get Free Games?